Relationships can be hard and they take loads of work. They can be even harder when one of the people involved in the relationship has a mental health disorder. I have been involved in several relationships, many of them were before I knew that I had anxiety and bipolar disorder. When I look back on those times, I can see that my symptoms were clearly showing themselves. Of course, I can across as negative, unhappy and out of control (to say the least). Learning about my illness and symptoms have really shed light on how my mental health disorder affects me and relationships with other people. Having this information is key to making relationships work as well as maintaining my mental health. 1.Take care of your mental health and learn about your symptoms and triggers so that you can educate yourself and your partner. Education is so very important when dealing with mental health disorders. Once you have the information you can make a plan of action. 2.Communicate your thoughts and feelings so that both parties are on the same page. When you are honest and open about your thoughts and feelings you can determine when your symptoms are appearing and how they can be dealt with. 3.Know that you are not your illness and you are in control. This will eliminate some of the negative thoughts and feelings that you have about yourself. 4.Have a support system outside of your partner. Having a strong support system is so very important when managing a mental illness. 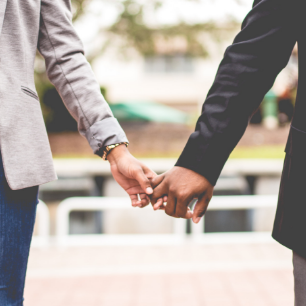 Having support channels outside of your partner could alleviate some of the stresses that may come along with your partner being your only source of support. These are just a few things that I have learned about relationships and mental illness. Do you have any tips for maintaining your mental health and relationship? I would love to hear from you. Let me know your tips!